School Events By Fun Events Inc. - Fun Fairs, Carnivals, Field Days, Rentals & More! Fun Events is the leader in providing successful school events. Professional events is our business with over 40 years of experience. See some of the fun services that we have to offer for your upcoming school event by navigating our School Events Menu. 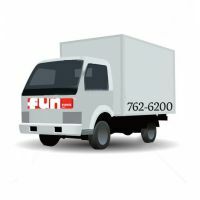 Fun Events Inc. has everything you need for a successful school carnival, fun fair, spring fling or field day. Our various school fund raisers programs, fun interactive school party packages and rentals are designed for a variety of events. Give our professional and experienced team of event consultants the opportunity to exceed your highest expectations. For more information regarding any of our event services simply visit our Reserve / Quote page. Thank you for continually selecting Fun Events to be your top school events provider.